Use the form below to inquire about Heritage Villa At Raison . Use the form below to reserve for Heritage Villa At Raison . These cottages with beautiful wooden decor, separate living rooms, private verandahs and king size beds assure privacy and are located in the garden. With sweeping views of the Himalayas and an abundance of peace, the Heritage Villa at Raison is an epitome of tranquility. Away from the hustle and bustle of the city, yet close to all the action, the Heritage Villa at Raison is the perfect place for a relaxing getaway. Whether you’re here to beat the summer heat or to experience a snowy winter, you might want to stay back forever. 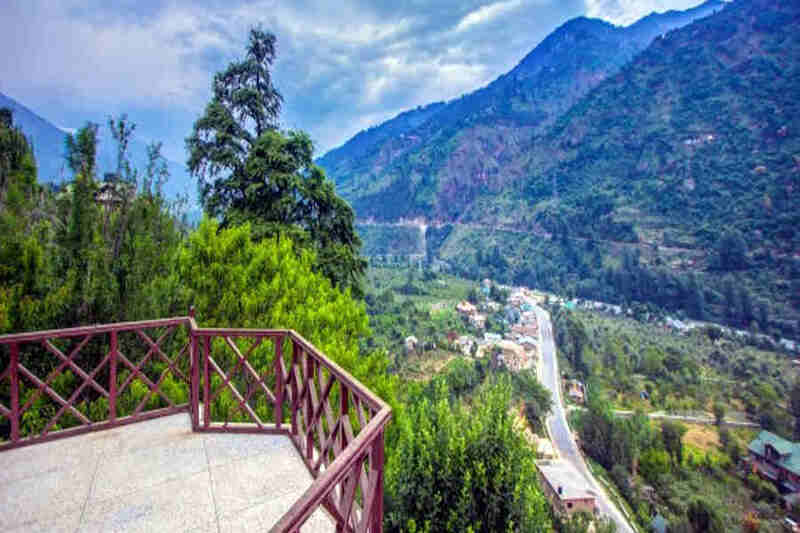 The Kullu and Manali region is popular among tourists and travelers from India and all over the world. The verdant pine trees that dot the valleys and snow-capped peaks that constantly play peek-a-boo make this region irresistible. The Heritage Villa at Raison boasts of a strategic location along the Kullu-Manali Highway. It was built in 1928 and has been a Himalayan abode for weary travelers and thrill seekers alike. The property is surrounded by apple orchards, kiwi plantations, and orchards with pear, walnut, and pomegranate trees. The resort’s architecture features the traditional Himachali design with lush gardens adorning the property. A variety of colorful butterflies visit the gardens quite regularly! You can expect their company while you explore the resort’s premises. With so much to do and explore, you will never feel bored at this heritage property equipped with all modern amenities. Accommodation at the Heritage Villa at Raison is divided into five categories: the Royal Suite, the Family Suite, the Heritage Suite, the Garden Suite, and the Honeymoon Cottage. The Royal Suite has a double bed room and a huge terrace with breathtaking views of the valleys. The Heritage Suite, Garden Suite, and the Honey Cottages have one double bed room each. The Family Suite has two double bed rooms. All the rooms under every category have an attached bathroom and all the amenities, including a TV, tea or coffee maker, and more. A clear view of the snow-capped peaks is a perk you can enjoy from any of these rooms. What’s more? The resort had hosted a number of famous personalities in India, including Pandit Jawaharlal Nehru. When you choose to spend your holidays here, you are being part of that enviable legacy. Are you ready for it? There is quite a lot of activities you can indulge in during your stay at the Heritage Villa at Raison. Thrill seekers can rejoice as there are many adrenaline-pumping activities that the region is popular for. The resort can make special arrangements for you to choose from any of these. The soft activities you can indulg ein include orchard walks, an excursion to the monastery, a fruit picking trip, yoga and meditation, a village picnic, and more. Adventure lovers can get their share of thrill with anything from paragliding, helicopter rides, and trout fishing to river rafting, trekking, hot air ballooning, skiing, and more. The closest airport from the property is the Bhunter Airport (19 km). The place is well-connected to the rest of the country via the airports in Chandigarh (290 km) and New Delhi (532 km). The Chandigarh Railway Station (289 km) and New Delhi Railway Station (521 km) have regular trains to and from many cities and towns in the country. From these stations, the resort is only a road trip away. A network of state and national highways connects the resort to Kullu (14 km), Manali (18 km), Chandigarh (291 km), and Delhi (517 km).